When Mitchell Brannon's beloved wife of twenty years kisses him goodbye one autumn morning, he has little idea that his life is about to change forever. Mitch returns from work early that evening, surprised Jill's car isn't in the garage. Her conference in Kansas City is only a few hours' drive from their little town of Sylvia, Missouri. But her voice on the answering machine makes him smile. "Hey, babe, I'm just now checking out of the hotel, but I'll stop and pick up something for dinner. Love you." Mitch sets the table with their best china and lights some candles, looking forward to their first weekend as empty nesters. But at eight o'clock, the candles have burned to stubs and Jill still hasn't shown up. Mitch tries her cell phone only to get her voice mail over and over again. Their two college kids haven't heard from their mom either. At midnight, Mitch's irritation turns to dread. And later, when the police and Missouri Highway Patrol have turned up nothing, the Kansas City hotel calls to say they've found property belonging to Jill in a hotel maid's possession. Mitch enlists the help of their next-door neighbor, Jill's best friend, Shelley, and together they search for clues to Jill's disappearance. As days turn into weeks and weeks into months, Mitch and Shelley's friendship grows ever closer--and decidedly complicated with Jill as the tie that binds them together. Just when Shelley decides to finally reveal her feelings for Mitch, a clue to Jill's whereabouts is uncovered. But every lead seems to be a dead end, and Mitch wonders how he can honor the vows he made to a woman who has seemingly disappeared off the face of the earth. The general plot of a person gone missing is a fairly common one. the outcome of course can vary and the conclusion then still has some variables. What was unique about this disappearance and search was the focus on a happy marriage between Jill and Mitch. The ideal couple, yet Jill is missing. As the book progresses we see that things aren't always perfect, just like in most marriages, but God was at the center and it showed greatly in Mitch's love for his wife. Jill has been missing for several months, yet Mitch still searches and believes. He took serioiusly his vow of to Death do us part. Though Jill's best friend, and neighbor Shelley has been by his side the entire process, he keeps his distance out of respect for his wife. I loved the depth of his love that he would not let go unless God moved him to. Despite Shelley's feelings for Mitch, she tries hard to be a good friend to the family, though the temptations can become overwhelming. A good message to guard your hearts in Christ, especially during tragic times. 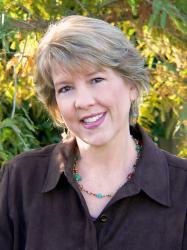 Deborah Raney is the award-winning author of several novels, including "A Nest of Sparrows" and the RITA award winning "Beneath a Southern Sky" and its sequel, "After the Rains". Deborah's first novel, "A Vow to Cherish", was the inspiration for World Wide Pictures' highly acclaimed film of the same title, which in December 2004 aired on prime time network TV for the second time. Deb's novella, "Playing by Heart", was a National Readers Choice Award winner and a 2004 Christy Award finalist. Her novel for Howard/Simon & Schuster, "Yesterday's Embers", appeared on the ECPA Christian fiction bestseller list. Known for her sensitive portrayal of family struggles and relationships, Deb has also written nonfiction books and articles and often speaks at women's retreats and writers' conferences around the country. She and her husband, illustrator/author Ken Raney, have four children and make their home in Kansas. Enter today by clicking one of the icons below. But hurry, the giveaway ends on May 29th. 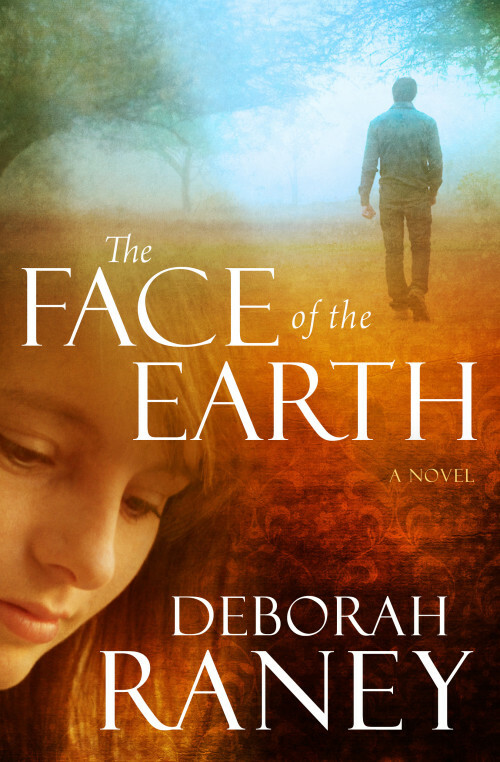 Winner will be announced at the "The Face of the Earth" Facebook Author Chat Party on May 30th. Connect with Deborah for an evening of book chat, trivia, laughter, and more! Deborah will also be sharing a sneak peek of her next book and giving away books and fun gift certificates throughout the evening. Don't miss a moment of the fun; RSVP today. Tell your friends via FACEBOOK or TWITTER and increase your chances of winning. Hope to see you on the 30th!